One of the first blues albums I bought was the initial volume of the Alligator Records' Genuine Houserockin' Music sampler series that the label released on a regular basis from the mid 80's to the mid 90's. These sets were a great way to introduce new listeners to some fantastic music at a very nice price, and the first volume was my favorite. I had only heard a couple of the artists from this collection before buying, so it was an eye-, and ear-opening experience listening to great traditional Chicago-styled blues from James Cotton, Jimmy Johnson, Lonnie Brooks, Koko Taylor, Texas styled blues from Albert Collins, Robert Cray, and Johnny Copeland, scorching blues/rock tracks from Johnny Winter, Lonnie Mack, and Roy Buchanan, and the inimitable Hound Dog Taylor, who was in a class by himself. However, there was also a track from a guitarist named Fenton Robinson that sort of deviated from Alligator's motto (and collection title), "Genuine Houserockin' Music." While it was certainly good, it wasn't what I would call "Houserockin'." It was more in a jazz vein with Robinson's smooth understated guitar work and a swinging horn section. I guess in a way it did "rock the house," but it was definitely in a different style than the other ten songs on that collection. Before I started listening to the blues, I listened to jazz guitarists like George Benson, and Robinson's style sort of reminded me of them. As time passed, and I was able to hear more of Robinson's music from his three Alligator releases, I became more impressed with his work. When I found out even more about him and what he did before he made those recordings in the 70's and 80's, I realized that he didn't get nearly enough recognition for his accomplishments. 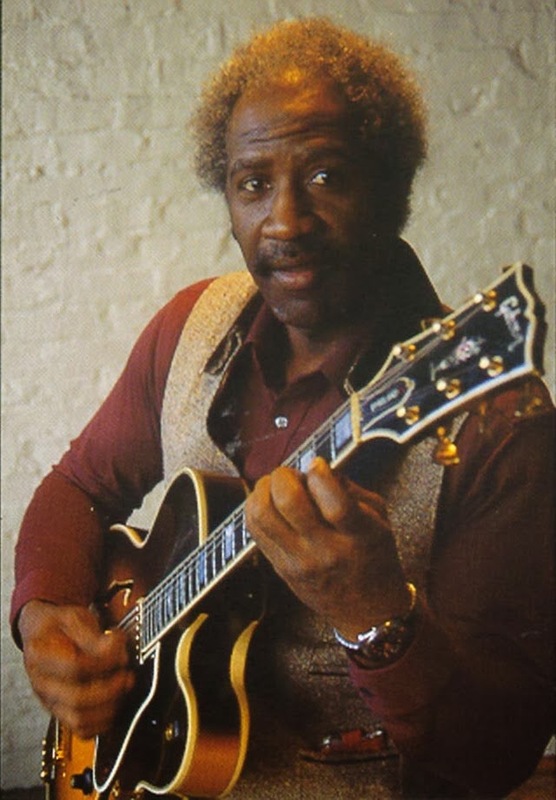 Like many blues artists of his era, Robinson was a victim of bad timing, bad breaks, and bad luck. Born in Minter City, MS (near Greenwood) on September 23rd, 1935, where he built his own guitar from baling wire, inspired by the blues he heard on the radio. Robinson moved to Memphis at age 16, where he really got his music career started, starting out with the Wednesday night amateur shows on Beale Street, later appearing on Rosco Gordon's "Keep on Doggin'" single released on Duke Records, then cutting his own single, "Tennessee Woman" on the Meteor label, based in Memphis, in 1957. 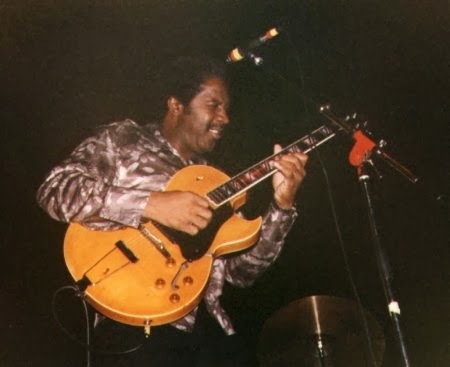 Like many of his contemporaries, his guitar work was influenced by T-Bone Walker, mixing Walker's smooth urban style with some of his own flourishes influenced by jazz guitarist Burrell and Montgomery, who also influenced George Benson. By that time, Robinson has relocated to Little Rock, Arkansas, where he teamed with Larry Davis, who played bass, and caught the attention of Bobby "Blue" Bland, who happened to see them perform and then mentioned them to his boss at Duke Records, Don Robey. While with Duke, Robinson recorded an impressive series of singles (though he was mistakenly labeled as "Fention" Robinson on many of them), including "Mississippi Steamboat," a remake of "Tennessee Woman," "You Got To Pass This Way Again," and the original version of Peppermint Harris' "As The Years Go Passing By," a tune that has been recorded by numerous other blues artists (as previously discussed here last spring), notably Albert King and Otis Rush. New Orleans piano wizard James Booker backed Robinson on piano on this track. 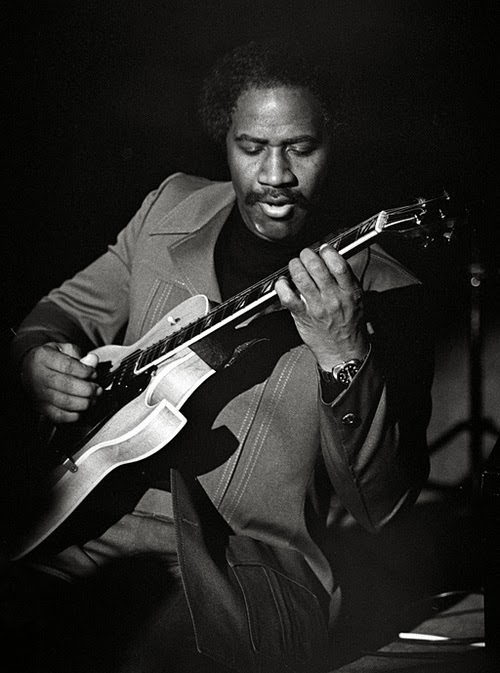 While at Duke, Robinson also appeared on some of Larry Davis' singles, notably as the guitarist on Davis' classic, "Texas Flood." Robinson moved to Chicago in 1962, continuing to record for various labels, such as U.S.A., Palos, and Giant. He also played with locals like Sonny Boy Williamson (Rice Miller version), Junior Wells, Otis Rush, and the Prince James jazz combo. It was with the tinyl Palos label that Robinson recorded what many consider to be his signature tune, "Somebody Loan Me A Dime," in 1967. Unfortunately, just as the record was breaking, a severe snowstorm hit Chicago and screwed up the national distribution of the song. Still, the record did tremendously well in the Windy City and is truly one of the post-war blues era's classic tunes. 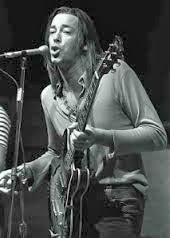 In 1969, Boz Scaggs recorded "Somebody Loan Me A Dime," for his debut album, and his version became a blues/rock classic, fueled in part by a lengthy guitar solo from Duane Allman. At the time, composer credits for the song was attributed to Scaggs by a publishing error. The error ended up resulting in much litigation over a number of years before composer credits were finally returned to Robinson. In 1970, Robinson recorded with a Nashville label, Sound Stage 70/Seventy 7 labels. Apparently, no one at the label had ever heard Robinson prior to recording, or they didn't like what they'd previously heard because they "rocked" his sound up considerably and didn't even let him play guitar on any of the sessions, resulting in a disappointing mess that sounds nothing like anything in the rest of Robinson's catalog, which is not a good thing at all. These songs were collected several years back by Charly Records for an album called Mellow Fellow. In 1974, Robinson's fortunes changed for the better. He began recording with Alligator Records, and the label released Somebody Loan Me A Dime that same year. Alligator head man Bruce Iglauer did it right, pairing Robinson with an excellent band that included Mighty Joe Young on rhythm guitar, Cornelius Boyson on bass, Tony Gooden on drums, Bill Heid on keyboards, and a crack four-piece horn section. 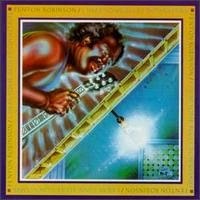 This is Fenton Robinson at his best and there are several outstanding tracks, including a remake of the title track that rivaled the original version, "The Getaway," "You Say You're Leaving," another future standard in "You Don't Know What Love Is," and a tasty remake of Davis' "Texas Flood." Robinson's Alligator debut ranks as one of the finest blues albums of the 1970's. In 1975, not long after Somebody Loan Me A Dime was released, Robinson was involved in an auto accident that left a pedestrian dead. He was convicted of involuntary manslaughter and sentenced to three years in Joliet Penitentiary. Fortunately, assisted by a furious letter-writing campaign led by Iglauer, Robinson was released from prison after serving nine months. Robinson recorded two more albums for Alligator, I Hear Some Blues Downstairs in 1977, and Nightflight in 1984. Both were very good recordings, just a notch below his Alligator debut. I Hear Some Blues Downstairs was nominated for a Grammy Award, and featured a pensive remake of "As The Years Go Passing By," and had a nice tribute to T-Bone Walker ("Tell Me What's The Reason") and the title track was pretty cool, too. 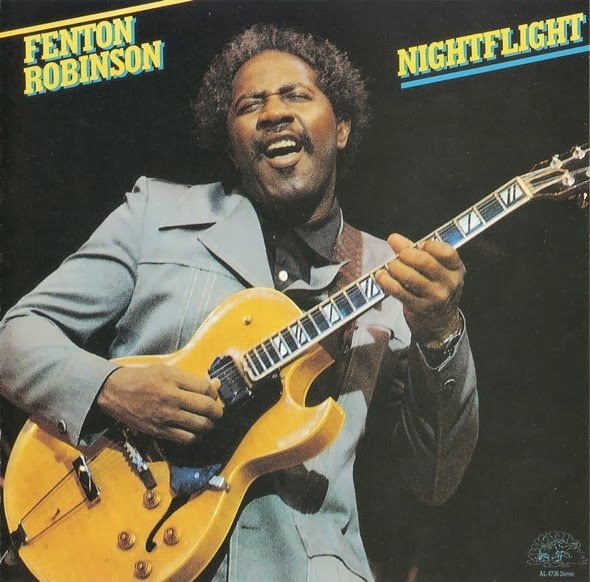 Nightflight was originally released on the Dutch Black Magic label as Blues in Progress) and is probably the jazziest release of Robinson's catalog, though it does feature Junior Wells on a couple of tracks. In 1989, Robinson released Special Road, again on the Black Magic label, another solid disc with some good performances. It was later reissued in the U.S. on the Evidence label (we discussed it here a few months ago). By the mid 80's, Robinson had moved back to Little Rock. At this point, he was frustrated, thinking that his laid-back, mellow style was ill-suited for the rowdy blues clubs and fans in search of the "houserockin'" brand of blues. Although that seemed to be the case in the U.S., he was adored by blues fans in Japan, who dubbed him "The Mellow Blues Genius," years earlier. By the late 80's, Robinson had relocated again, this time in Springfield, Illinois, where he began teaching blues education in the Springfield school system as blues-artist-in-residence, a position he had previously held with the school in the late 70's. He taught youngsters the basics of the blues and also the fundamentals of guitar. He still performed occasionally, making an acclaimed headliner appearance at the Chicago Blues Festival in 1995. In the summer of 1996, Robinson underwent surgery to remove what was believed to be a benign brain tumor. The tumor turned out to be cancerous, but Robinson fought the disease courageously until he passed away on November 25th, 1997 at the age of 62. 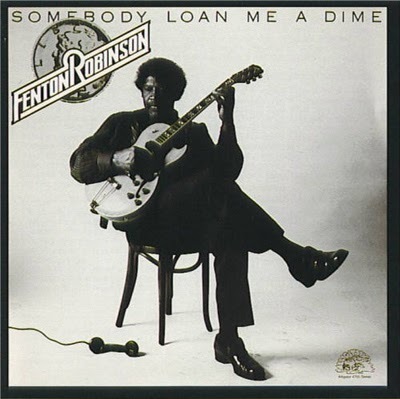 Some of Fenton Robinson's finest moments as a performer, with songs like "Somebody Loan Me A Dime" and "As The Years Go Passing By" are unfortunately overshadowed by other artists' versions of each song (Albert King and Boz Scaggs, respectively). However, blues fans would do well to go back and seek out the original source for both songs and take to time to seek out Robinson's own recordings. It should prove to be a rewarding effort for most fans. Essential Recordings - Chicago/The Blues/Today!